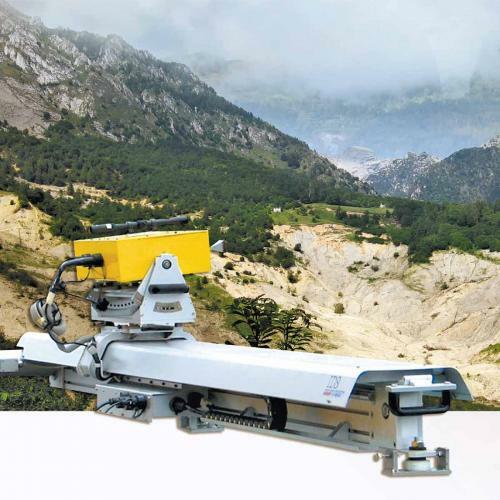 IBIS-FM Interferometric Mine Slope Radar system for continuously measuring mine wall/slope movements with sub-millimetre accuracy from distances up to 4 Km to provide reliable early warning alerts for progressive wall/slope movements and mapping long term evolution of slow moving slopes. It is supplied with the Guardian software suite which is specifically designed for critical and background monitoring. Guardian provides automatic real-time processing of radar data, visualization of displacement maps with multiple analysis options. IBIS Guardian makes use of state-of the art automatic atmospheric correction algorithms to provide accurate and reliable displacement maps which are fully geo-referenced on a digital terrain model. 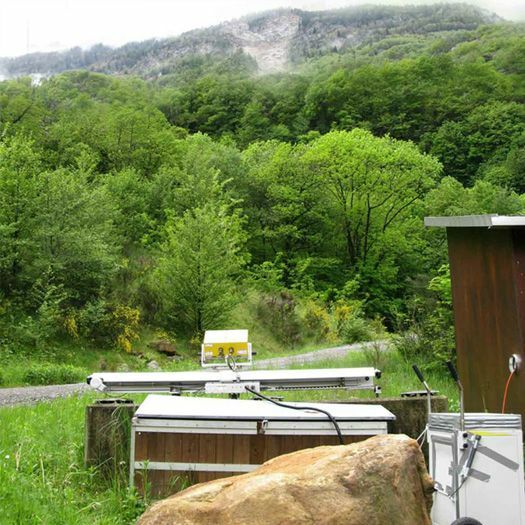 IBIS-FM has been furnished with a suite of advanced technologies which overcome the deficiencies of the previous generation of slope radar systems. 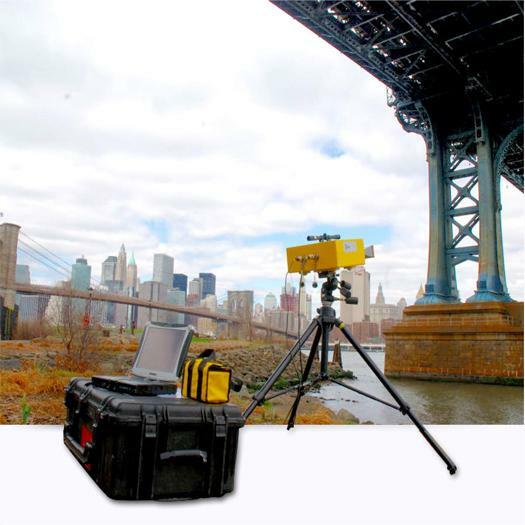 It offers leading edge features such as highest spatial resolution and greatest operating distance. Highest spatial resolution: 0.5m x 4.4m resolution cell @1 km, resulting in the detection of smaller failure areas. Longest operating range: From 10 m up to 4000 m.
Extremely broad coverage of pit walls: Can cover an area of around 5 km2 @ 2 km. Low acquisition time: Just a few minutes for a full resolution scan at long range (2.5 minutes @2 km). Long term monitoring: Through either permanent installations away from blasting restricted areas or by precise re-positioning of the system. 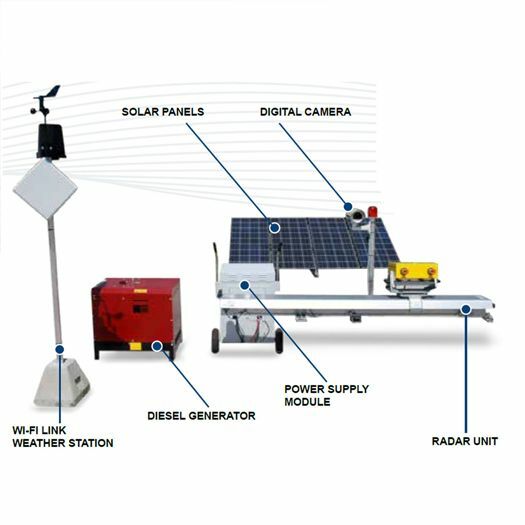 Fully self-powered operation: Using a combination of solar panels and batteries, only switching to a diesel generator as a back-up. High in-service availability: A limited number of moving parts and low maintenance requirements help to keep down-time to a minimum. Fully remote operation: Provided by a wire-less radio link. 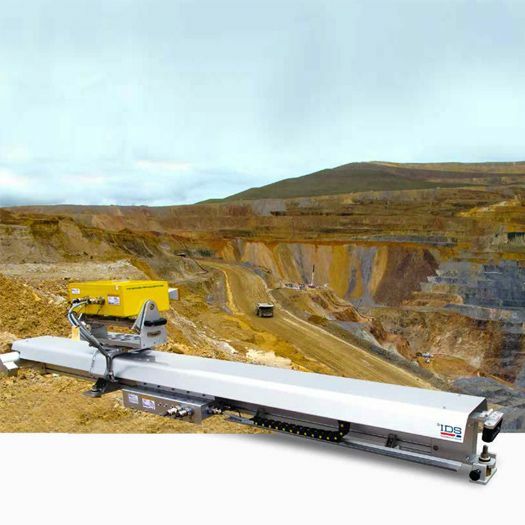 Fully tested in harsh mining environments. IBIS-FM is supplied along with the Guardian software suite which is specifically designed for critical and background monitoring. Guardian provides automatic real-time processing of radar data, visualization of displacement maps with multiple analysis options (extraction of time series for displacements, velocity, inverse of velocity) and the possibility to create multiple hazard-maps with user-defined alarm criteria for active monitoring. IBIS Guardian makes use of state-of the art automatic atmospheric correction algorithms to provide accurate and reliable displacement maps which are fully geo-referenced on a digital terrain model. 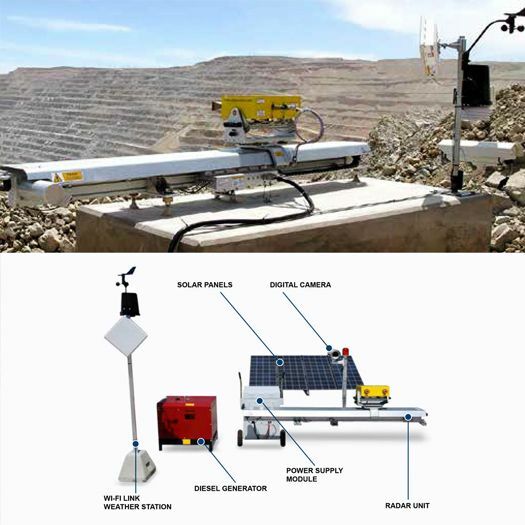 The capability to handle long-term projects with large datasets makes Guardian also suitable for the long-term tracking of movements which is potentially useful for regulators, the back analysis of slope failure and more comprehensive geotechnical / geological analysis.